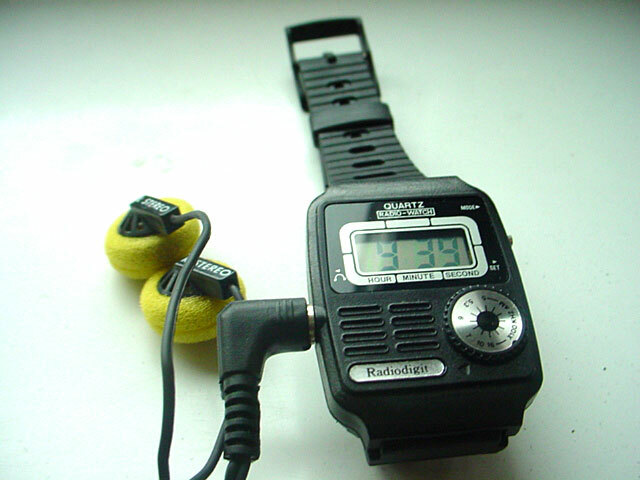 This is a radio watch with LCD display by “Piratron” by FB Electronics, Hong Kong. 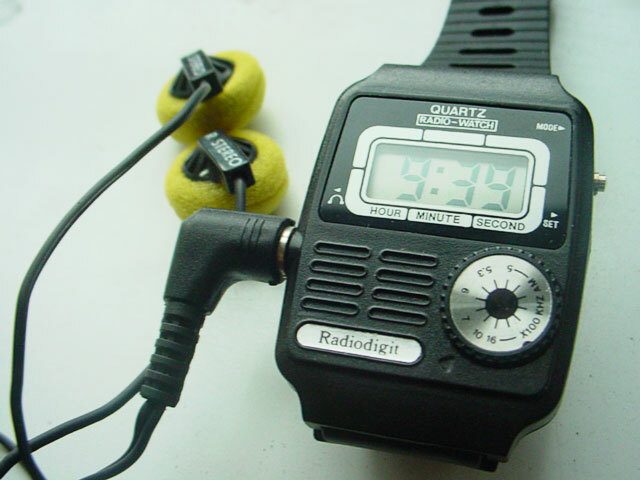 Watches with radios were developed through the 70’s, but it wasn’t until 1987 that they managed to combine style and functionality. 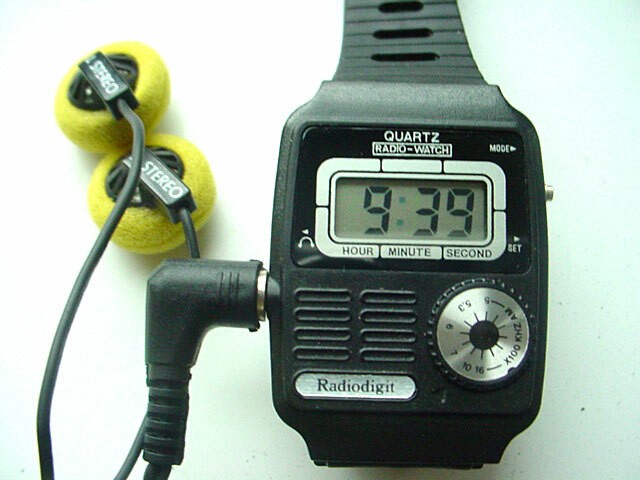 This wee watch is from 1987, and is SO delightfully retro, you will love it! Even better news – it’s still boxed in it’s original box. It’s a collector’s dream! Deemed “unusual” and collectible enough to make the Pieter Doensen book, this is a true collector’s item. You can view this page from the book by clicking on the book icon below. 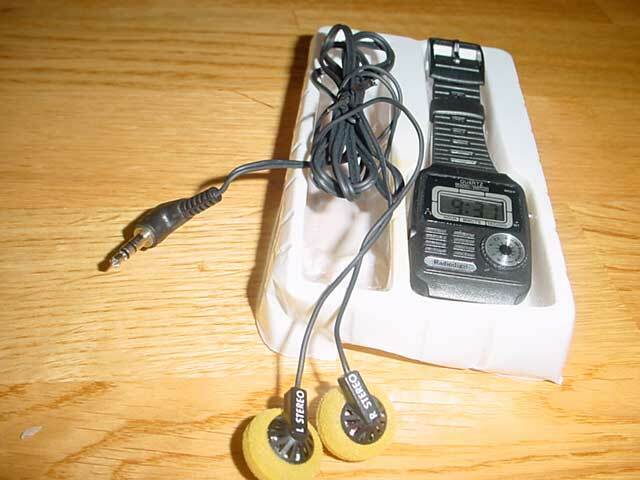 This watch is in perfect working order, so forget your I-Pods, this is the greatest bit of kit to skip down the road with, or perhaps take to your favourite football match and listen for the other scores coming in. You may want to skip that last suggestion if you’re supporting a not very well known team from Edinburgh’s Leith area, and just stop going to football matches altogether. We’ll all understand. Click here to see this book getting mentioned in the Pieter Doensen book. Hello. Is this watch for sale ? but it was stolen, at least i think it was, as it went missing and i never saw it again. I live in Limerick, Republic of Ireland. What is the price in EUROS ? 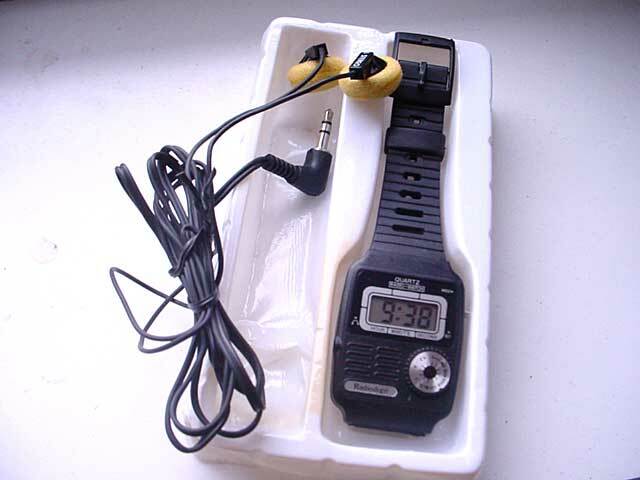 I had one of these when I was in jr. high. So cool. Can it be paid with PayPal? Hi ALL, I own the same model, however in white colour and in excellent cosmetic. 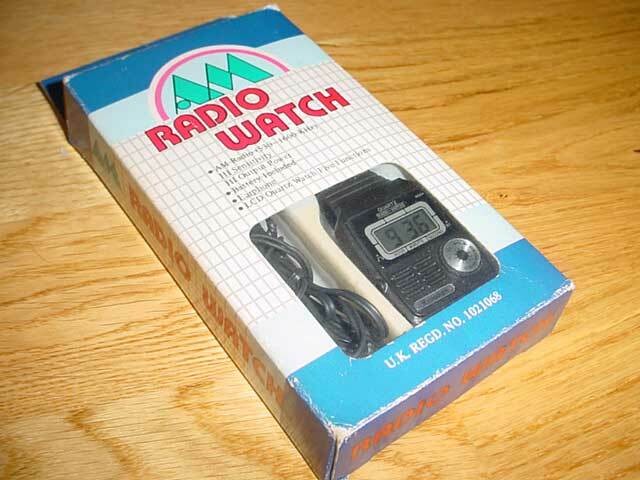 Believe it or not, I COULD NOT FIND A SINGLE WHITE Piratron Radiowatch on the web, while finding tons on black ones!